This how-to list will give you a reference point for exercises and ways to help with pinealgland decalcification. Your pineal gland, also referred to as the 3rd eye, is a small endocrine gland in the geometric center part of your brain. It is home to the ajna (brow) chakra and itsenergy is of psychic and spiritual phenomena. The following list is in no particular order. See what resonates or feels right to you and begin there. And remember, practicing patience and being consistent is key for any spiritual andmetaphysical work. 4. Practice Sungazing. Taking in the Sun’s energy when it is orange or setting/rising is tremendously beneficial for the pineal gland and decalcification. You can do this daily for 3-5minutes, it doesn’t take long. Your pineal is a crystal and reacts remarkably to our Sun. 6. Avoid mercury. Mercury is extremely toxic. Most vaccines and tooth fillings are mercury-based. However, nowadays, most dentist are using non-mercury based fillings. If you havemercury fillings in your teeth, a holistic dentist can remove them. 10. Use the fluorescent, coiled-like light bulbs. The standard, cheap light bulbs are very inconsistent with the natural light spectrum. 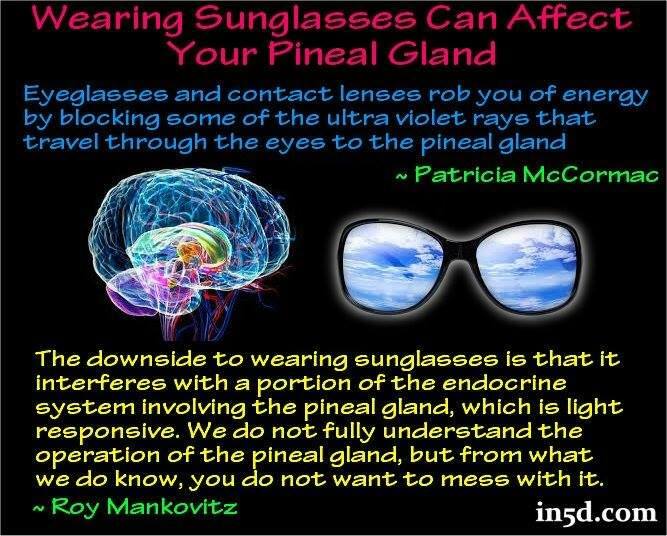 Your pineal gland is light-sensitive. It’s also important to sleep in complete darkness, if possible. In5D Addendum: This is an amazing list! The only other suggestion I would make is to tryozone water, too. As per Dr. Masaru Emoto’s research into water and consciousness, you canadd mantras and affirmations to whichever water you consume as a way of supercharging it! US,CANADA,NEW ZELAND ,AUSTRALIA,UK, "THE FIVE EYES" SPYING ON YOU!! thank you keep up the great work revolution is near !!!! !